Shortly after the market, HMD Global brought its Nokia devices last year with the launch of many smartphones. While most received positive feedback, it was Nokia 6, which was considered the best performing smartphone. 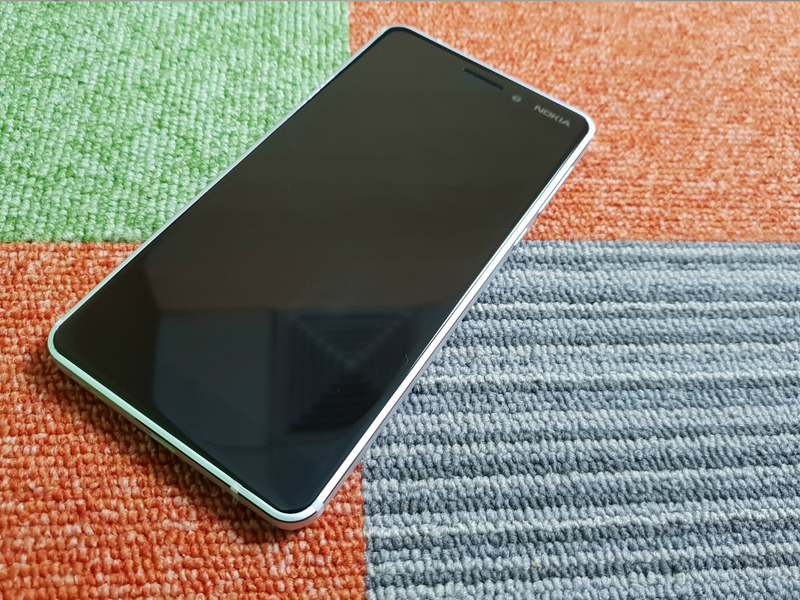 When Nokia launched its successor, Nokia 6.1 was bound to be eager for some months ago, because it would be able to live up to the billing of its predecessor. Budget smartphone category is one of the tightest competition and Nokia needs a winner to actually make a point. 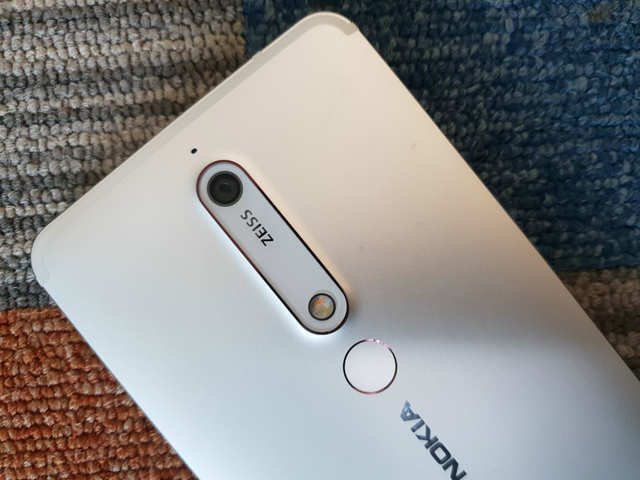 While Nokia 6.1 maintains the core of Nokia 6 in the design, it receives the orbital edges and a copper coating around the corner, camera, and fingerprint scanner. Nokia 6.1 takes its many design elements from its predecessor. This is an all-metal well-built smartphone, yet the total footprint of the smartphone is lower than the original Nokia 6. The phone is easy to capture and can be used with one hand. The smartphone is dominated by 5.5 inches 16: 9 full HD display in front of the smartphone. 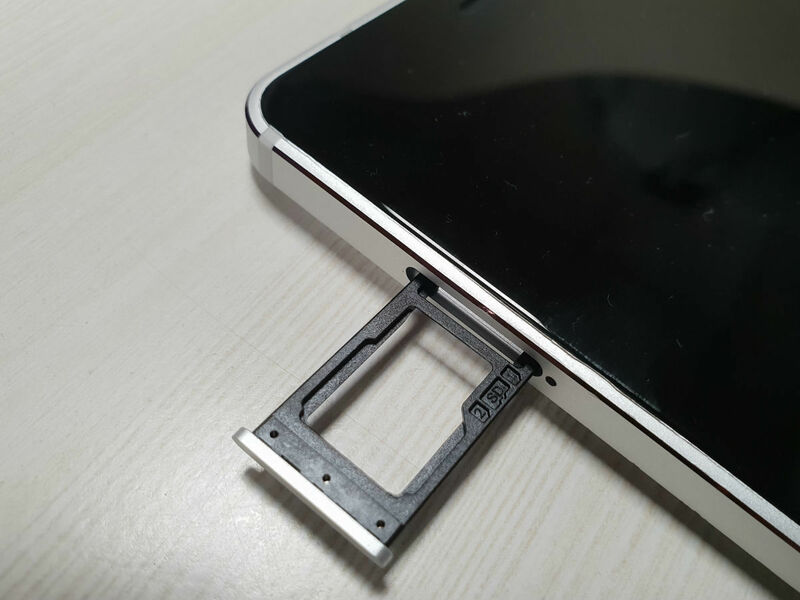 On top of the display, there is an 8MP front camera and Nokia earpiece after the logo. Behind the phone, there is a 16 MP camera with zee badging and dual tone LED flash. Below the camera, Nokia and Android have a fingerprint scanner with a logo. 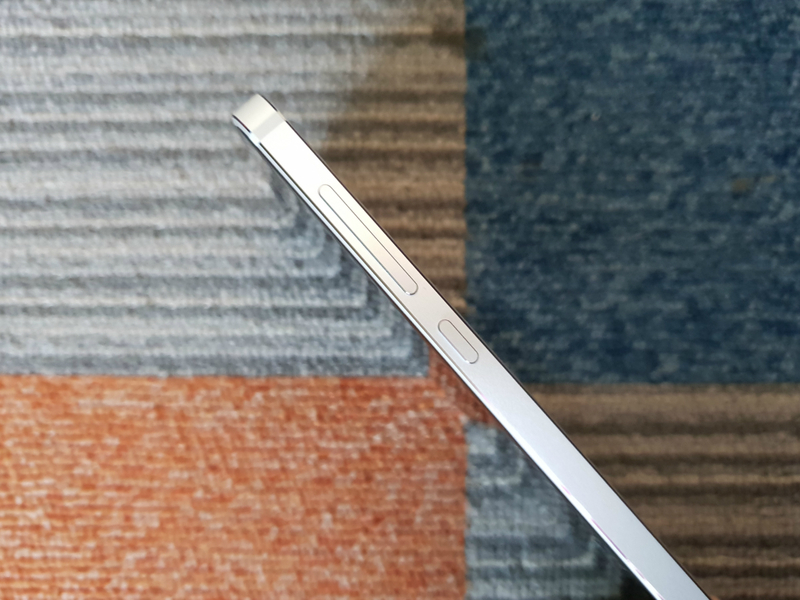 There is a hybrid sim slot on the left side of the phone, on the right is a volume button and a power button, which works perfectly well. Top 3.5 mm headphone jack and bottom type-c USB port, speakers, and microphone. Overall, Nokia 6.1’s design does not really stop, but anyone cannot get too much complaints about it. At one time, when everyone and their cat going to the 18: 9 aspect display ratio, then it is not surprising to follow suit with Nokia 6.1 to HMD Global. By saying this, Nokia’s performance is an appropriate job. The display is bright enough to look at a bright sunlight and the colors and saturation of the display are decent considering the value of the phone and we have no complaints about it. Last year’s Nokia 6 with Snapdragon 430 SoC felt a little underpowered to us and it’s a good news that Nokia chooses to equip a much capable Snapdragon 630 SoC with a clock speed of 2.2 GHz time which gave a 60% of the performance boost over its predecessor. The UI felt snappy and there was no lag or jitter in the overall performance, the apps opened quickly and multitasking was fast as well, thanks to the 4GB of RAM that powers the smartphone. As we all know that this is not a major phone, the game will take some time to open and for huge games such as Pang, we had to tone the graphics to make the game playable. Still, we see Nokia 6.1 as a strong artist. The call quality of the phone is really good and we have not seen any problems with the phone, the callers sound was loud enough, clear and crisp and there was no complaint at the other end of the line. 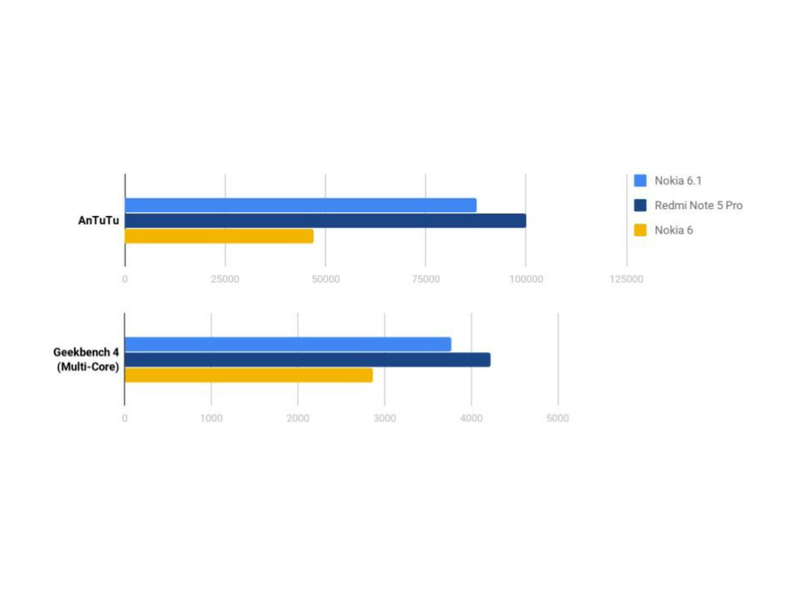 Here is some benchmark to showcase a comparison between its rivals. Nokia 6.1 has a 16 MPF 2.0 rear camera, which has the same module since last year but now it uses Zeiss Optics and 8 MPF 2.0 front camera sensors. 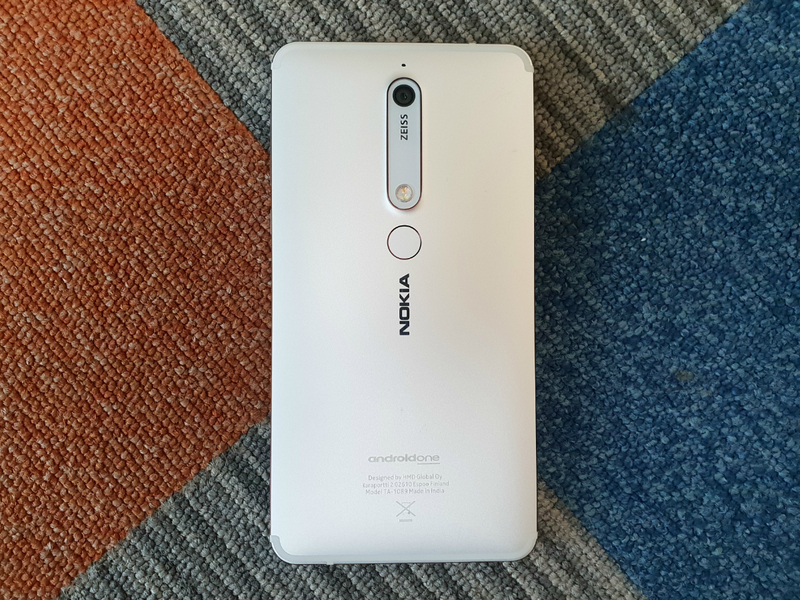 Nokia has packed a bunch of interesting features in the camera such as camera effects, camera mode, manual mode, HDR, 4 video recording, front camera and panorama mode. The camera UI is simple and easy to use. Opening and clicking a photo from the camera app is quite fast and there is no shutter interval during taking pictures. However, when it comes to picture quality, there is a completely different story. The previous camera takes surprisingly good images in well-lit situations and HDR features have done a great job in managing the shadow, without looking unnatural. Despite being an F / 2.0 aperture, the camera struggles hard to capture good details and colors, resulting in soft-looking photos, even after cranking the complete ISO, the camera did not perform well and the images were hardly used. Were qualified. While taking yourself, we saw that images were lightly burned in the dynamic range of sensors in a well-published position. However, sharpness and description were good. In low light conditions, the camera again produces sub-paragraph image quality with lots of grains in the image. Nokia has also implemented a non-AI based BOK mode which works to do a proper job in detecting facial edges. 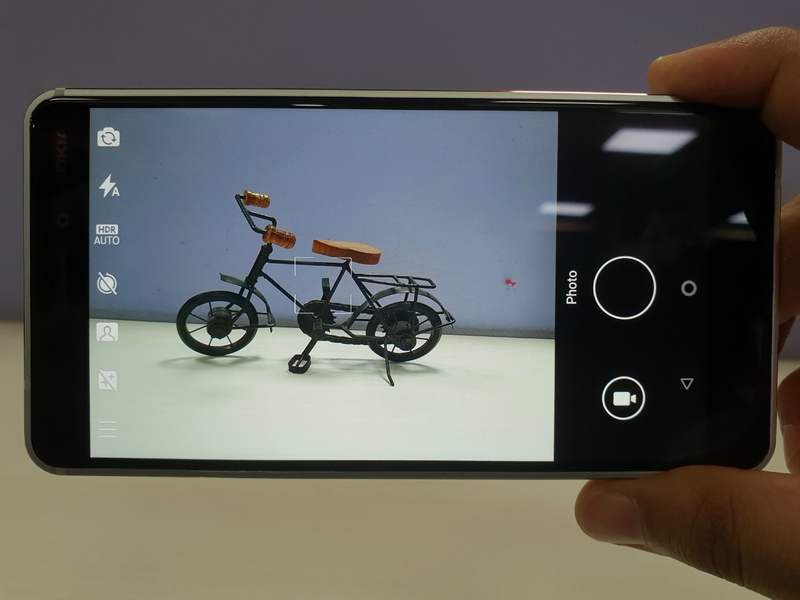 In our opinion at this price point, there are many other smartphones that provide better image quality with front and rear cameras, and Nokia 6.1 will be difficult to keep up with. The video quality of the phone is quite good and it can shoot videos of 4 to 30 fps, a major leap in resolution from 1080p recording in the previous years. But due to the lack of optical and electronic stabilization, the camera footage looks very weak. The smartphone is supported by 3000 mAh battery, which does its job appropriately well. If the phone is in heavy use throughout the day, then it is safe to classify battery performance acceptably. The phone also supports fast charging and ships with a fast charger outside the box which allows you to charge the device from 0 to 100% in 90 minutes. Overall, Nokia 6.1 provides significant improvements on its predecessor in terms of performance, better camera capabilities, faster-charging support and Android One, it makes things even better with guaranteed software updates. However, HMD Global would have missed a move or two in Nokia 6.1 because there are some things that should have made this phone even better. To get started, the quality of the display could have been improved because the camera could have been the display. Nokia 3.0’s 3 GB version was launched for Rs 16,999 and the 4 GB version was priced at Rs 18,999. 3 GB version has a significant value cut and retailing of Rs. Amazon is priced at 16,180 while the 4 GB version is the same. At this price point, the competition is fierce because you can get the Redmi Note 5 Pro with 6 GB RAM, which is worth 16,999 and has a 4GB version, which is worth Rs 14,999. Do not forget that other options like Asus Zenfone Max Pro M1 are also cheaper than Radmi Note 5 Pro. Nokia 6.1 is a definite upgrade, but compared to the competition on Nokia 6, it is difficult to find the area where it stands.